Yesterday was a busy day in League One and Two - with several big deals nearing completion. 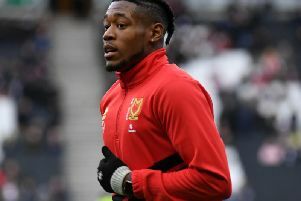 There's a £5m fee on the table for a highly-coveted League One striker, while several other clubs are nearing deals as the transfer window draws to a close. But will they be completed today? Follow our live blog to keep up to date with the latest movements - and make sure you refresh the page for the latest!